In her art practice, Jessie McNeil addresses themes of place, collective and personal memory, language, landscape and value with an emphasis on cultural history and identity. 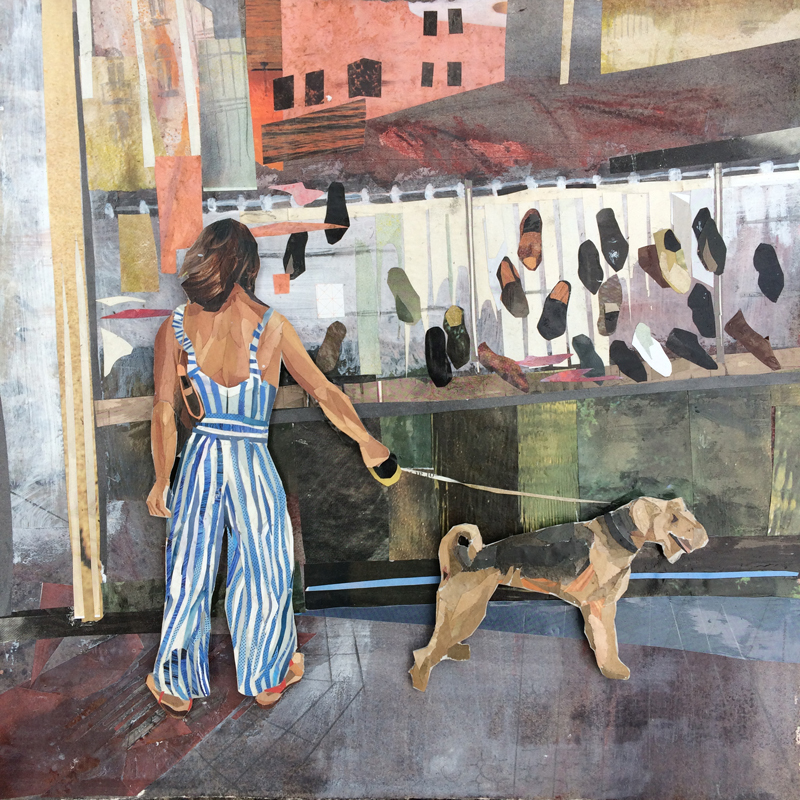 McNeil’s current figurative collage work, representing Vancouver neighbourhoods and recent artists’ residencies in Tartu, Estonia, Barcelona and Paris, is made with the eye of a street photographer while fulfilling her need to cut, paste, smudge and assemble. Jessie McNeil graduated with a BFA from Emily Carr University of Art and Design in 2013, and she received a Fine Art Diploma from Langara College, Vancouver, BC in 2008. She has won numerous awards and grants, most recently the William and Meredith Saunderson Prize For Emerging Artist, Saltspring National Arts Prize in 2015. 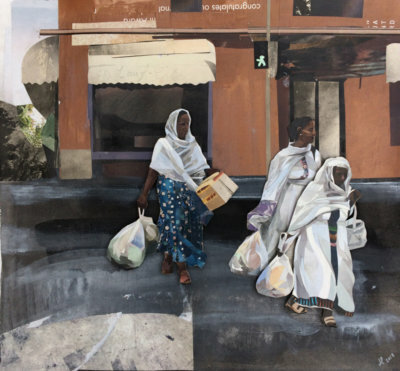 She has exhibited in curated and juried exhibitions in Canada and abroad. Jessie McNeil currently lives and works in Vancouver, BC.